Today we are proud to launch our new venture with Masuri. The new online shop, hosted by NXT Sports, gives you the chance to buy Hayes branded playing gear with a quick turn-around - the aim is to have your order with you within 7 - 10 days. 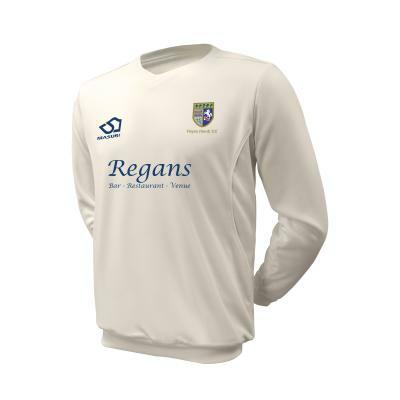 We are also pleased to announce our new sponsorship with "Regans at The New Inn". The New Inn have been our main sponsors for 7 years now and with the recent change in management, we are delighted that they have continued to support the club. The newly refurbished venue will be opening on April 24th for those who have missed visiting our sponsors the past few months! Please visit the shop by clicking here and you will see both playing and training gear available. Masuri have been renowned for their protective helmets and this new venture into playing shirts promises to set a new standard both in quality and delivery. We will have sample sizing available on signing-on night - Friday April 20th - but as a guide, the kids sizes mirror those of Marks & Spencer! Please browse the shop - it's simple to use and we welcome your feedback on both the ease of use and the kit we have selected. The Shop can be found on the link on the right hand side of the home page.